Five years separate the laying out by Robert Trent Jones of the two nines here at Cabo Real, and they are definitely distinct, the front nine being the less open. The service and amenities are good enough but not overly impressive; thus the modest clubhouse offers only light fare, the practice facilities are limited and the pro shop has little in the way of variety. What the club does offer is some great desert golf with stunning views of the sea throughout. The course is threaded through deep ravines dotted with cacti down to the beach. 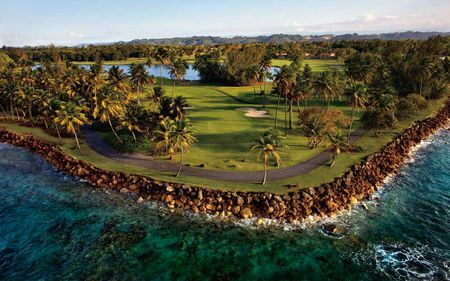 The front nine are where the real action is, both in terms of the variety of holes and the challenges, which include bunkering and natural waste areas. 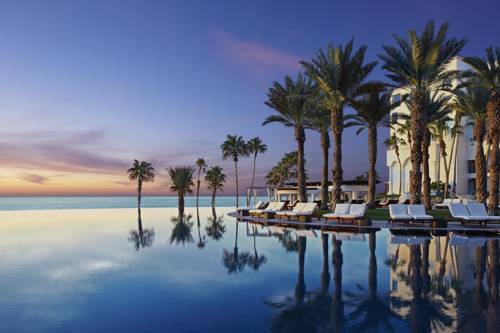 Beginners are advised to wait until their skills mature before tackling Cabo Real, but those with some game will have a memorable experience. 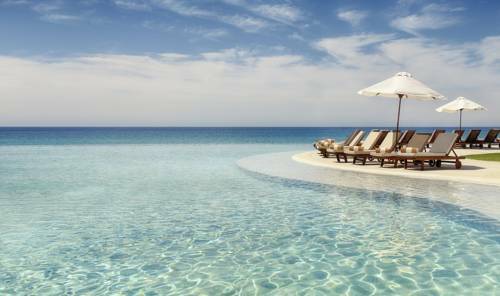 Every hole offers a view of the Sea of Cortez. The desert sun produces an intensity of light and shadow that sometimes distorts perception and creates a mirage effect. The first six holes at Cabo Real climb steadily through Sonoran desert topography at the foot of rugged mountain peaks. Free-form bunkers and small, elevated greens combine with fairways that play along ridge tops to provide an expansive feel. 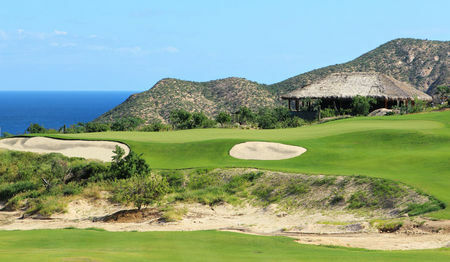 Cabo Real's back nine is gentler, with wide fairways running down to the sea at the fourteenth hole.